The concept of Messy Church is over ten years old and there are now over 3,000 around the world. It is a kind of "church" for families who find it hard to go to normal church on a Sunday. A typical session includes arts and crafts, celebration and food. It's basically a chance to have fun and be creative whilst listening to positive Christian message or bible story. Another plus is that we all get to meet up and socialise so it's also a great community event. Messy Church events are organised by St John's, the Gospel Church and the New Forest Community Church and we are now in our third year. Numbers are rising with each event and they happen approximately every three months, usually in the Village Hall. If you would like to join us, feel free to come along to our next event ....... they are usually publicised around the village well in advance. It's a warm friendly atmosphere and great fun too. 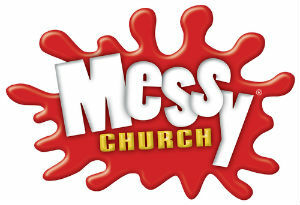 The next Messy Church is on Saturday 29th September at 2pm at the village hall.